crafty goodies: Catalina Island by Quick Quotes! 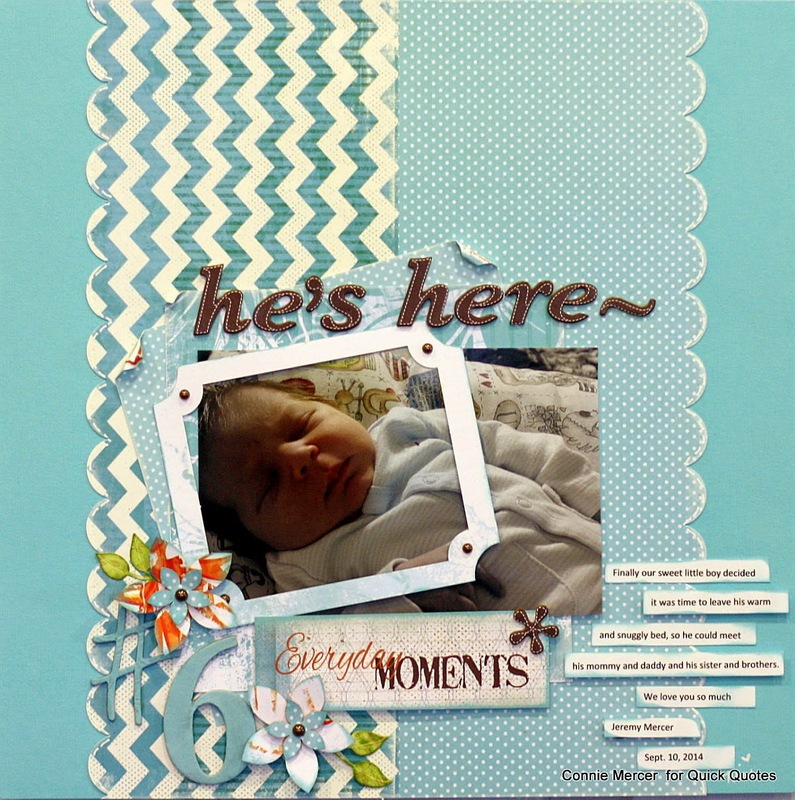 Hi, Connie here with a scrapbook page using the new papers by Quick Quotes called Catalina lsland. The blue's have never looked better. Stripes, polka dots and flowers look amazing together. * Cut CI 300 to 5" X 12"
* Round one side with a border punch. * Cut CI 100 to 5" X 12"
* Ink both pieces (5" X 12") with Coconut White PowderPuff Chalk Ink. 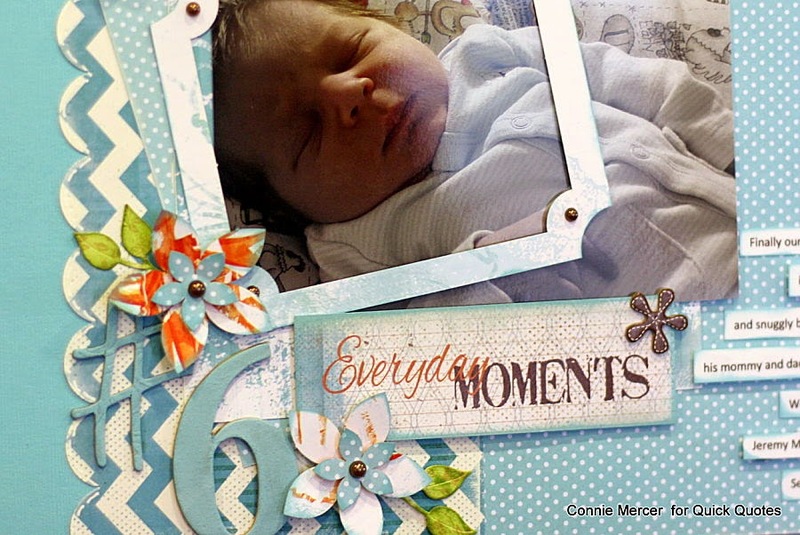 * Cut frame, flowers and leaves from die and ink with Caribbean Blue PowderPuff Chalk Ink. * Cluster in corner under photo. * Ink chipboard #6 with Caribbean Blue PowderPuff Chalk Ink. * Add journal strips to the side of the page. That is soooo sweet and adorable. I just wanna smoosh his adorable cheeks. Gorgeous page. This is so precious! Love the colors, it really is a beautiful page. Soooooo gorgeous! LOVING the colors and that precious photo!!!!!!!! I just love this page Connie! What a sweet and beautiful baby! So cute - and I'm loving those papers! Those peaceful papers are perfect for that photo. Such a sweet page.